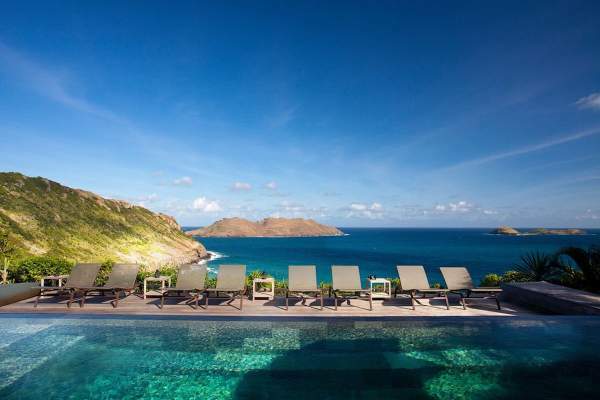 These are the 413 most popular villa rentals in St. Barts. Narrow your search above. Contemporary three bedroom villa within walking distance of Flamands Beach and short drive into town. 2 BR rate available. Breathtaking ocean views and tons of space make this 2 bedroom villa the ideal getaway for couples 1 BR rate available. Minimalist three bedroom overlooking Lorient Bay. 1 & 2 BR rates available. Spacious, contemporary hillside home with plunge pool. 2 & 3 BR rates available. Contemporary and modern villa with all the amenities, perfect for exploring Flamands Beach 1 BR rate available. Enjoy spectacular sunsets over the sea and easy access to several beaches at this cozy and modern 2-bedroom villa 1 BR rate available. Private, cliffside getaway on gorgeous Pointe Milou with four accommodating bedrooms and several lounging areas. 1, 2 & 3 BR rates available. Ideal spot for honeymooners and lovebirds. Family-friendly villa with views over wild Toiny Bay. 1 & 2 BR rates available. 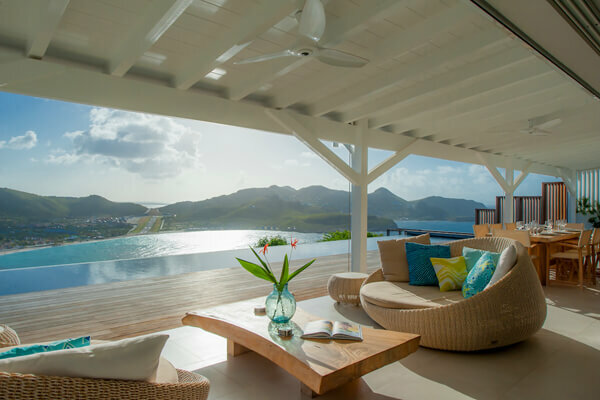 Near two popular beaches, Amancaya Villa is also near restaurants and groceries for ideal access during your St. Barts stay 1, 2, 3, 4 & 5 BR rates available. 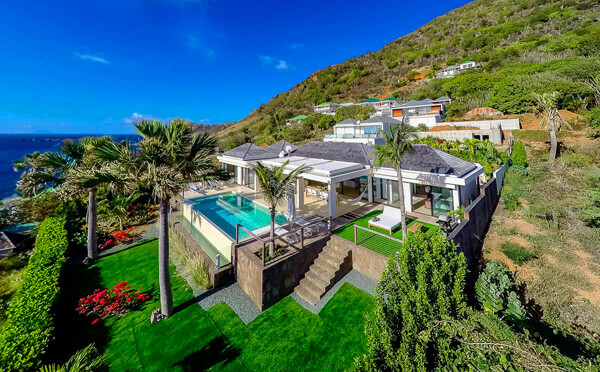 Stunning three-bedroom villa overlooks Governeur Beach and offers views, privacy, and ultimate comfort 1 BR rate available. An architectural feast for the eyes, Lumiere Villa overlooks Flamands Beach 1 BR rate available. 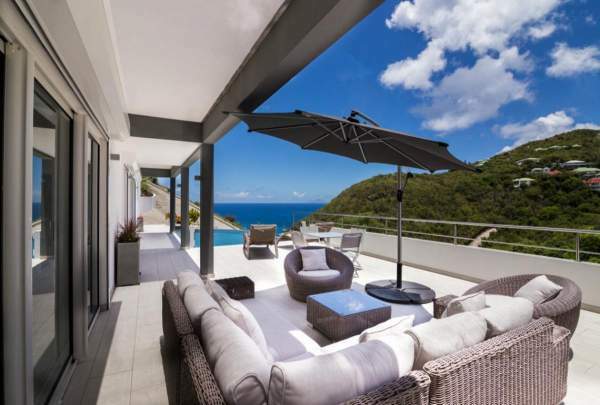 Looking to rent a villa in St. Barts (St Barths, St Barthelemy)? 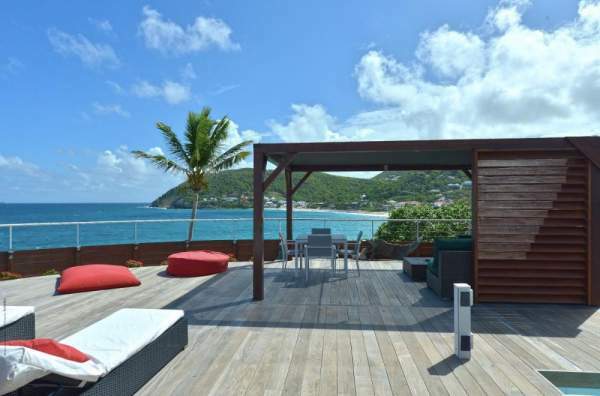 Deciding on a Saint Barths villa might seem a little overwhelming, as there are so many to choose from. Use our detailed listing below to help you narrow down the options as you browse private island homes. 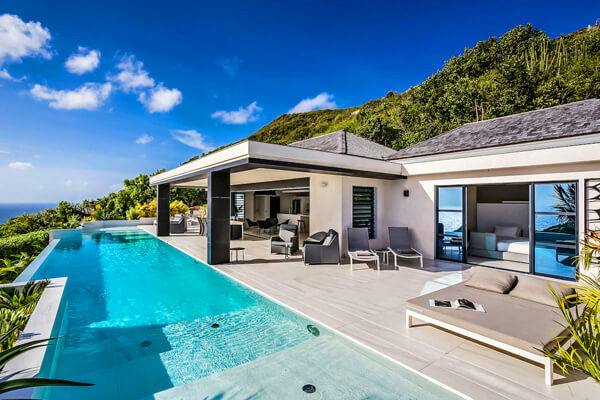 While some prefer the familiarity of a hotel, St. Barts is better known for its numerous private homes that are available for rent. These are the choice of many visitors, as they provide the ultimate in privacy and comfort. 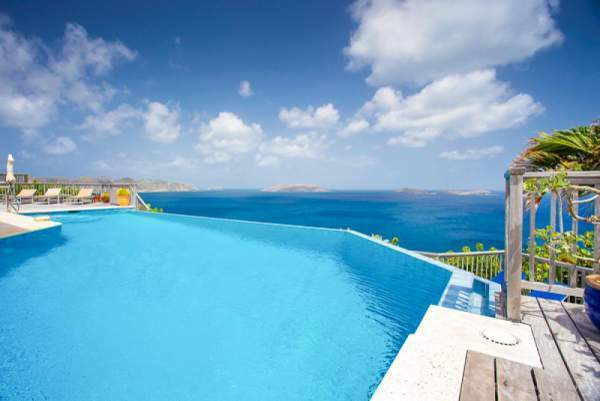 Most have pools, and many are located within walking distance to the beach, like the Maison Villa and Mahogany Villa. 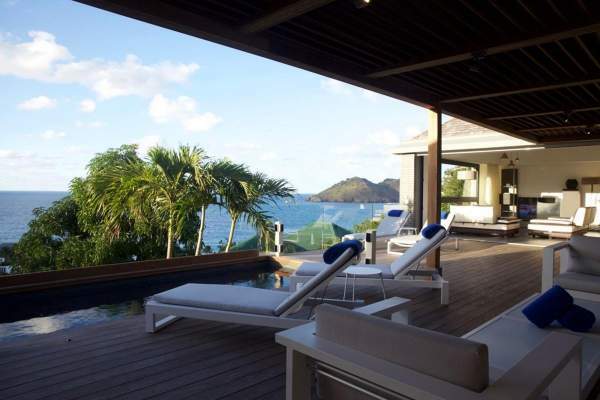 Villas on St. Barths are perfect for honeymooners, couples, families, and friends traveling together. What's special about St. Barts? At just eight square miles, St. Barths—officially Saint St. Barthelemy—may be one of the tiniest islands in the Caribbean, but it has certainly become a big name among the rich and famous. This little slice of paradise is well-known as a vacation hotspot for the wealthy, and it doesn’t hold back in putting on the Ritz. However, you don’t have to be a movie star or millionaire to enjoy all that Saint Barts has to offer… just don’t expect to do any bargain shopping during your stay here. 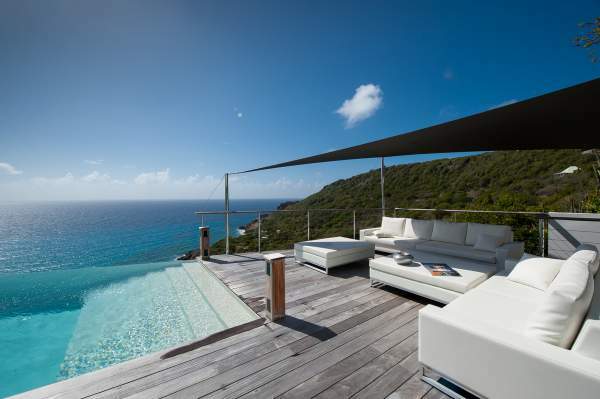 Encircled by some of the finest beaches in the Caribbean, St. Barts is renowned for its yachting and sailing. It also has superb scuba diving and snorkeling. Everyone can picture the clear blue waters of the Caribbean, but St. Barths is an especially good location for enjoying these water activities. If putting on all the gear and heading underwater isn’t your idea of a great time, you can enjoy the view of the crystal clear water from the beach. The island is home to some of the best beaches in the Caribbean, and also the cleanest. Windsurfing and kayaking are some other popular water activities on St. Barts. 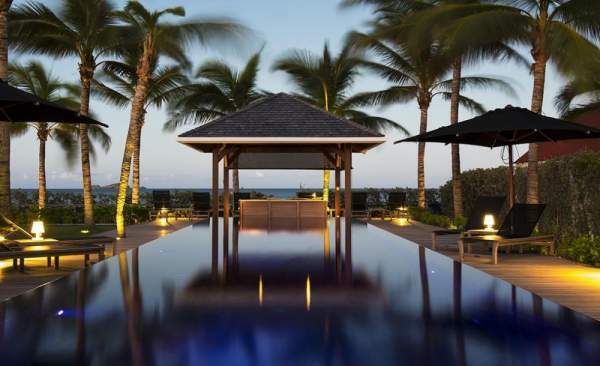 Shopping and dining are other reasons people visit St. Barths. At the retail stores on the island, you won’t find the stereotypical, tie-dyed, touristy stuff. Instead, you’ll see the latest fashions from Paris and Milan and the big name designers featured in French Vogue. After a busy day of shopping, you can settle in at one the upscale restaurants for some delicious French-Creole fusion cuisine, or hit up the local market for some of the freshest foods on the island. While a day trip to St. Barths is nice, if you really want to get a feel for the island, you need to stay on it. Villas are a great option if you want privacy and seclusion as well as a more homey feeling. 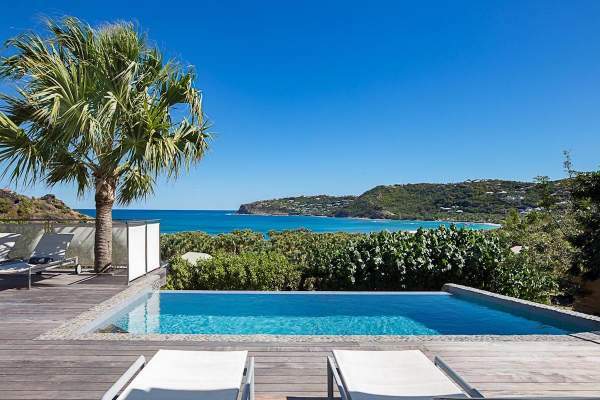 Many St. Barts villas come with private pools and a few have direct beach access, so it’s easy to enjoy the water while staying in one of these homes. Your other option for accommodations on the island is to stay in a hotel or resort, and you’ll only get the best treatment here. 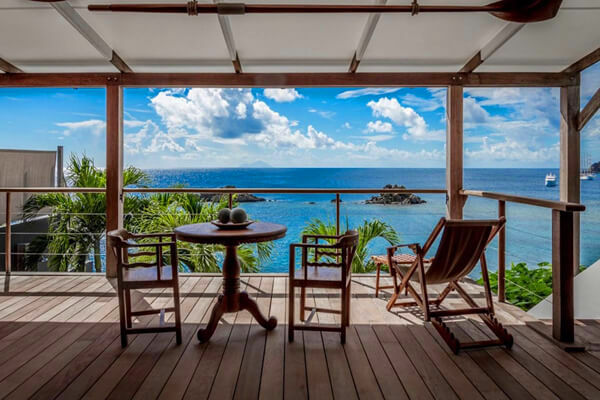 Trendy, chic, and upscale would be the best way to describe any hotel or resort on St. Barts, and this is perfect for the traveler that doesn’t want to worry about a thing. Concierge and hotel staff will take care of your every need; your only job is to have fun and enjoy all that St. Barths has to offer.